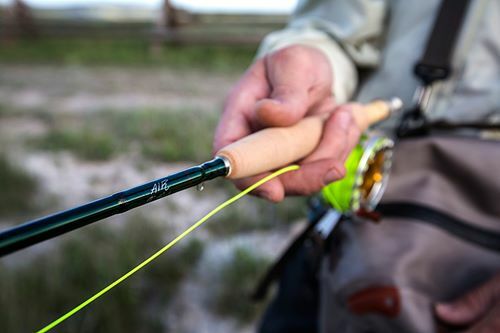 The WINSTON AIR represents a line of super premium, ultra-lightweight, all around fly rods offering truly remarkable performance. 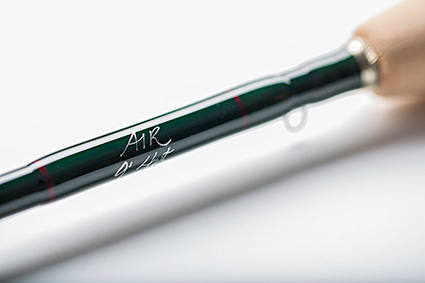 Winston AIR rods feature a revolutionary new design combining Winston's new SuperSilica resin system with high modulus Boron for significantly less weight, more liveliness, an extremely broad casting range, and higher responsiveness for optimum presentation. These rods offer a quick flex and recovery through the casting stroke without feeling stiff, and provide an amazingly smooth transition of power with any length of cast. Winston's classic Progressive Action, along with the advanced combination of carbon fiber and resin systems, makes the Winston AIR series a true step up in premium rods. Available in weights 3 through 6. ^ Spectrum LT (Light) used for 3 & 4 weights, Spectrum Max starts at 5 weight so Max is used for 5 - 8 wts. Spectrum Max is better reel for line-sceaming species. If you want Spectrum LT instead of Spectrum Max for 5 wt or 6 wt, simply place your order now (it will show Spectrum Max) and then email us after placing order and state you want the Spectrum LT; in this case will adjust your charge downward by $100 for Spectrum LT vs Spectrum Max. You will see credit at time we max actual charge to your card.